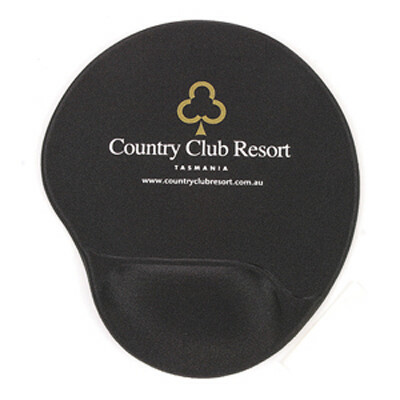 Features: Ergonomic lycra mouse pad with gel filled raised wrist support. Product Size: 223 x 200 x 22 mm. Print Area: 174 x 116 mm. Print Process: Plastisol transfer. Art to be line work, no half tones, no full ink coverage. Delivery: 2-3 weeks (stock), 7-9 weeks (indent) from art approval. Standard Packaging: Bulk. Packaging Option: Individual poly bag pack add. Packing Details: 40 pcs per carton, 11 Kgs, 50x44x17 cms. Setups: Included.